I’m a big fan of the way that the Google Chrome team does their work. By developing in the open, we’re able to see what they’re working on, try new features before they’re released for the public, and give feedback ahead of release. Google encourages users to try out new features by making them easily accessible in the chrome://flags page. However, not every new feature is available as a flag. For instance, we spotted a redesign of the bottom toolbar that shows your tabs at the bottom for easily switching between them. If you tap the ^ icon, it brings up a mini tab switcher using the new grid layout. 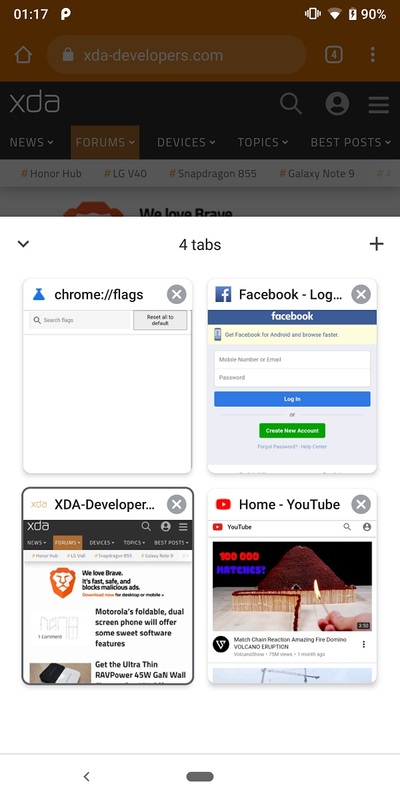 You can also tap the + icon to quickly add a new tab. 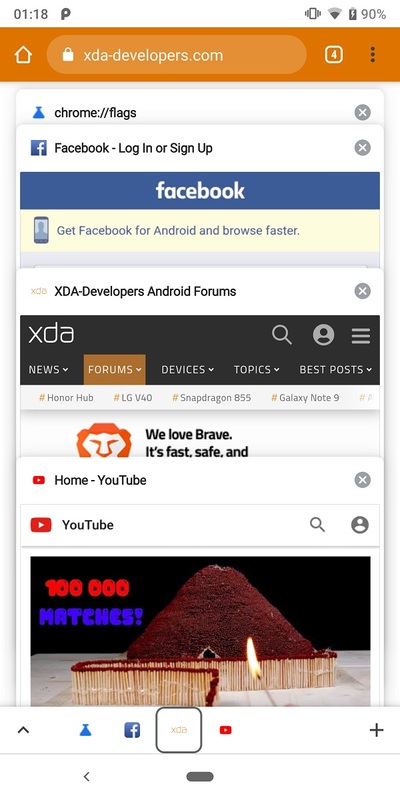 After discovering the commit responsible for this change, we managed to enable the in-development feature in a Chromium nightly build with help from XDA Member arnaud42, the developer of Kiwi Browser. For now, there’s no toggle in chrome://flags that you can use to enable this feature. Once it rolls out in Chrome Canary, we’ll let you all know. You can download Google Chrome Canary from the Play Store link below. Google is still testing the split toolbar feature known as Chrome Duet (formerly Chrome Duplex, but renamed to avoid confusion with Google Duplex), though we don’t know which UI the Chrome team will settle on. 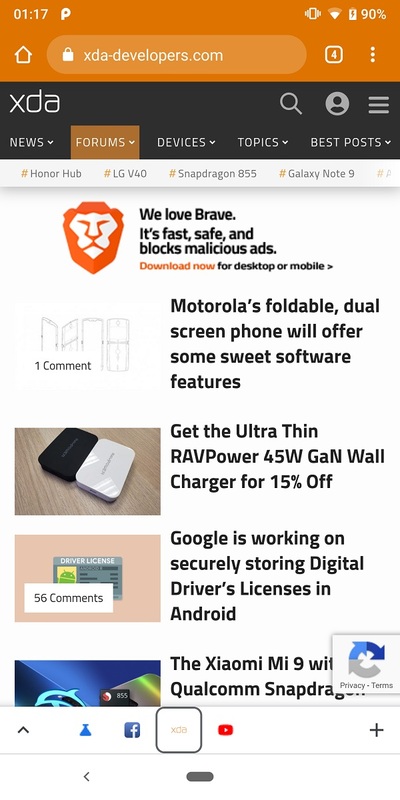 Google is always testing new features in Chrome, so don’t get too used to any of these new designs because there’s no guarantee they’ll stick around for very long.